Mitten Show & Share Saturday February 16 from 2:00 pm – 4:00 pm. Curious about your hand-knit mittens? Wondering what traditional pattern was used or the history behind it? 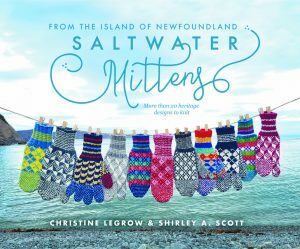 Bring them in for a one-on-one show & share with experts Christine LeGrow and Shirley Scott, authors of Saltwater Mittens.